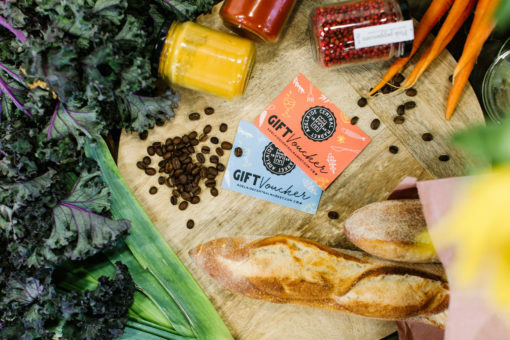 Gift Voucher - Adelaide Central Market: The City of Adelaide's premier food destination. Over 70 traders under one roof. Adelaide Central Market vouchers are the ideal gift or stocking filler. They are available in $10 or $20 amounts and are redeemable at any of your favourite Adelaide Central Market stalls^. Order through our online store or visit the Market office during business hours. ^ Stalls as listed on the Adelaide Central Market website. No change given – full amount must be spent at one stall.